Faculty Spotlight on Melissa Balmain, author of "Walking in on People"
Adjunct Instructor Melissa Balmain will be featured in this evening’s Faculty Spotlight, part of English Week 2014. Melissa will be sharing some of her most recent poems at 5:00pm in Robbins Library. 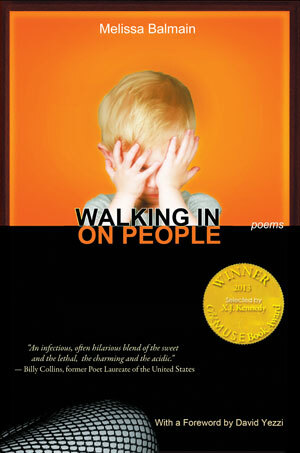 Balmain is the author of the recent book of poems Walking in on People, now available for pre-order with Able Muse Press.